Today whatsapp is the most popular messaging app of mobile. There are billions of users that are using whatsapp in their daily life. This awesome app is now owned by Facebook and provides lots of option like sending messages,images,videos and location etc,which makes it more attractive for the users. But many of you must want a app that can also send apk files,zip file and any other document file etc, so in this post i will tell you a method to Share PDF, ZIP & APK Files on WhatsApp with you favorite app “Whatsapp“. Yes it is possible, just with a simple trick that i have explained below. Just read the below to continue. First of all download and install dropbox official app in your mobile from your device’s play store, if you don’t have a dropbox account then create one in the app by signing up there and login in the app with your account. Download dopbox for- ios Android . Now download and install the app cloudsend in your device and now it will start with a starter tour,you just have to swipe from right to left and at last it will ask for authorize app , provide authorization to it. Download cloudsend for – ios Android . Now the link will be send to your whatsapp contact and if the reciever device supports the format of file then it will directly display the file in its whatsapp and if not it can download it from the browser. 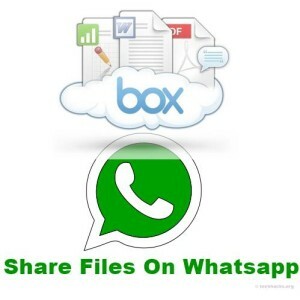 So above is the simple and efficient method for Share PDF, ZIP & APK Files on WhatsApp. By this method you can easily send any files with your friend and there is no restriction on the size of file so you can even share even large files with your contacts. And all this on your favorite app whatsapp. Don’t forget to share the post.Leave a comment below if you have any trouble at any step. We always want whatsapp on our windows and Mac because we are daily user of this app.If i help you get it on window? or mac? 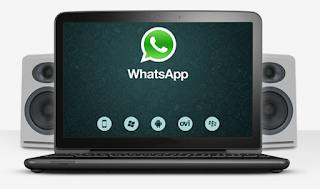 Whatsapp users have found out numerous ways to run and use the instant messaging app from a desktop PC. One of the most common and popular way for using whatsapp on PC is running the app from an android emulator. But unfortunately this workaround is limited to single device and doesn’t let you use whatsapp simultaneously from multiple devices. Oh Great…. Its done. Now I can use whatsapp through my web browser. Thanks to Whatsapp for the Whatsapp Web facility. I and most of you always wished to use Whatsapp on PC instead of checking mobile phone often at work. Some of us uses mirror applications and risked our privary with third party applications. Now No more worry, No more Risk, No more complexity… Whatsapp itself released a new function called whatsapp Web, in which you can access whatsapp messages in your chrome browser. Whatsapp web is not an extra application, it has no seperate existence, Its just mirroring your mobile Whatsapp messages in your Web Brower, thats means one copy in your phone and one copy in your PC. 1.First of all, You need to update your old whatsapp application to version 2.11.498 or higher through playstore. 2. Once you updated the whatsapp, open your Chrome brower in PC then go to https://web.whatsapp.com . You can see a QR code there. 3. Open your Whatsapp on phone, then go to menu> Select ‘WhatsApp Web’ from Menu> Scan the QR code. 4. You done, now you can access your whatsapp messages through PC browser. Note: WhatsApp Web function available for all platform except, iOS. 2. This lets you search for exact phrases, "all these words", or one of the specified keywords by entering search terms into the appropriate box. Money is the only phrase which attracts users from a highly skilled business man to a common young child. Teenagers are known as the most vital asset of a nation, but usually they spend most of their time playing video games and surfing the internet which is destroying their capabilities. According to the scientific approach Teens are the brightest aspect of the world, so its time to make them realize that instead of wasting their precious time on uneventful activates they need to concentrate on building their future. However, they are adopting insignificant traditions due to lack of proper guidance. Music Xray-Sign up for free to become a fan. *You must have a Facebook account to use the fan side of the website because the site is built around Facebook functionality. Answer some questions about the type of music you like and start receiving music to listen to in your inbox. Get paid up to $0.10 for each song you listen to. The minimum payout amount to PayPal is $20. Slice the Pie-Upon signing up, there will be some questions asking about the type of music you like. Songs will then be displayed for you to choose from. Write a review (between 4-5 sentences) and receive payment. Most reviews pay $0.09, and you can redeem to your PayPal once you have earn $10. Earn more money by referring your friends to try the service! My students, of course, do not like to write! However, we were able to talk through a quick writing template for each review so that their time was maximized. Sentence 1: Did you like the song? Sentence 2: Why or why not? Sentence 3: What stood out in the song (beat, melody, vocals, etc)? Sentence 4: What did the song make you want to do (i.e. workout, dance,sleep, etc)? Sentence 5: Would you recommend the song and why or why not? Bubblews (parental consent needed)-Get paid for your thoughts, opinions, experiences through social media. Receive compensation from advertisement revenue-share based on the number of likes, comments, and views your post receives. You can redeem to your PayPal once your account has reached $50. 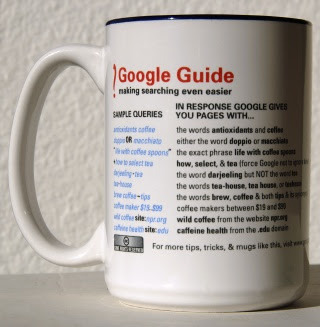 This site reminds me of Tumblr with the built in network of users and tags that you can search for and follow. MyLikes (parental consent needed)-Create a social website that you own and share content you like on Twitter, Pinterest, Likes.com, Facebook, Tumblr, and any other social media site that you have. You will be shown an estimate of how much you can make based on your gallery. Payment options include PayPal, Amazon gift cards, and wire transfers. For PayPal and Amazon, you will need at least $20 for redemption. Payment is made weekly if you have a lifetime PayPal balance of less than $10,000 and have earned at least $20 that week. If you have made more than $10,000; you will be on a monthly payment schedule. Wire transfers need to have at least $50. Game Testers-Sign up to become a game tester. No gaming experience is needed, and there are games for all platforms available. There are only a certain number of slots available to sign up and become a tester on a daily basis, so the best time to check would be in the morning. If you qualify for a study, there will be several options to receive payment. Userlytics-Become a website tester. You will need a webcam as this will be used to record your reactions. 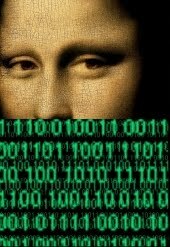 Make sure that if you are testing, sit in front of a blank wall so that there is no identifiable information about you. Tasks include speaking your thoughts outloud about the website, video, or prototype. Note: Not all tasks require the use of a webcam. Payment per test is $10 (PayPal), sometimes more depending on the test and will take between 10 to 20 minutes to complete. Most tests need to be completed within 2-3 hours. Perk TV-Combination website and mobile phone app. Available on iPhone,iPod touch, iPad, Android smartphones and tablets, Windows phones (yes, I said Windows! ), and some Kindle devices. I’m not going to go into extreme detail with this (that’s another blog post), but I will say that you should easily make $5 a month in passive income. I joined on July 21, 2014, and I currently average between 700-1000 points a day on the videos alone. If you are thinking about joining Swagbucks, check to see if it is available through Perk first and earn a quick 10,000 points! Every 1000 points is equivalent to $1, except for the PayPal redemption. The Perk TV app is available to users in the countries of US, UK, CA, IN, and AU. *New: Earn points taking trivia quizzes. ****As of January 30,2015; I am not recommending this app until they change back to their old point system for videos. Teens are known for their creativity this is the reason why most they have vast knowledge about designing. they love to play with colors and prefer designing Logos. There are many online companies which require logo for their community and on this occasion teenagers can convert their talent into money by designing awesome logo. To design perfect logo they need to learn Photoshop, and if they have full command on Photoshop then they can work as professional designers. Learning Photoshop is not complicated at all it requires just few months to get use to it. Following are website where teens can sell their logos. www.99designs.com : A Place where anyone can design logos and can earn up to $500/Logo. Scientifically teens are the most promising aspect of a nation. Teenagers are capable enough to start their own online community. Where they can teach other on specific topics and can earn lavishly. By sharing their inspiring ideas they are not only educating others but also providing awareness among the younger generation. Vlogging is a shorter version of Video Blogging it is a type of blogging in which video is used as a medium. With Vlogging teenager can make money easily without any stress. They can start off their career in Vlogging by creating a video on any topic that they like the most i.e. SEO, Blogger, Cooking, Sport and etc, once the video is created they can upload it to YouTube and can make extra money with their Google Adsense account. This is the reason why they accept every proposal which is offered online. Teenagers of 21st century are smart and courageous enough to start their own online business which will allows them to earn extra cash. Few teenagers, as young as fourteen have discovered unique ideas to earn, more then a man working from a nine to five job. Usually they required some sort of money to fulfill their needs. They can give a huge boost to their pocket money if they are keen to earn. There are many ways they can make extra money on-line or off-line, as their interest. However, it appears to be an uphill task but if They maintain balance between online working and daily life success can be achieved. So today we will discuss how young teens can earn more money online. How to Add Subscription Box Below every Post? Designed By kolakube| Enhanced by Best Blogger Tutorials.